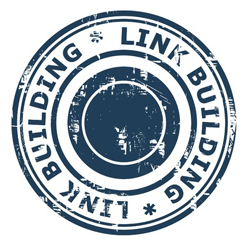 Link building has been a crucial strategy in SEO for many years now. The reason is that links help Google rank a website. In simplistic terms, a webpage on a particular topic will be deemed more credible by Google if it has more links than another webpage on the same topic. It is more complicated than this in reality because Google uses many other ranking factors to determine a website’s position. Despite this links remain one of the most important of all ranking factors. The problem is that ever since it has been known that links are important to SEO, dubious marketers have tried to exploit the fact. This has essentially meant buying links or creating their own links. Google says you shouldn’t build links to your website and it works hard to identify websites that do this even slightly dishonestly but links are still an important part of SEO. So, how do you square that circle? Ethical Link Building – Does It Exist? It is important to understand the current challenge of link building. You need links to improve your SEO, and without them your website will not rank well for any important keywords. However, if you try many of the common link-building strategies used by SEO “experts”, you might get your website penalised. So, what are you supposed to do? One approach is to stop thinking of this part of the SEO process as link building. Instead you should think of it as marketing – marketing your website, business, and content. You can only do that with really great content, which is where all “link building” strategies should start. Ethical link building does exist! Here are five Google friendly tips that will help you do it. It All Starts With Great Content! – there really is no way of getting around this if you want to do well in Google. You have to create fantastic and highly relevant content. Google wants you to create content that people want to share naturally, and it is getting good at detecting this sort of content. You should therefore focus a lot of your efforts on content creation, and it should be content for content’s sake. That means writing it purely for the benefit of the user, instead of trying to stuff it with keywords and phrases that you think the search engines will like. Reach Out And Promote – after you have created a great piece of content you have to start promoting it. This is a reasonable expectation. After all, why should Google send its traffic to your content when you haven’t proven its relevance, reliability, or popularity? The days of creating webpages in isolation are over, while the future of SEO is a world of marketing. This means telling people about your content on social media, blogging about it, and letting people know about it on email. You should also reach out to contacts within your organisation, and outside it. All of these outreach strategies will organically generate links back to your website. Google will then have more confidence in the page. Be Careful Linking To Yourself – it is important to have a diverse backlink profile. This can be a challenge for businesses with small contact lists, or those just starting out. How can you do the previous step of marketing your content when you don’t have many people to reach out to? It is not easy but your only option is to increase your influencer contacts, email lists, and social media followers. What you shouldn’t do is give into the temptation of kick-starting your efforts by linking to yourself through a personal blog or another website that you are involved with. Google will recognise this, particularly if there is no obvious relevance, and might penalise you. Avoid Bad Links – you should also avoid links from bad sources. Unfortunately these are also usually the ones that are the easiest to get, but they can do your website more harm than good. Examples include links from low quality domains or links where there is no obvious relevance. You should also avoid anything that looks like there is reciprocation – you give a link in return for getting one for your site. Forcing keywords into anchor text is also risky, particularly when they are not grammatically correct. As already mentioned, it is also risky to have too many links from the same location. Finally, anything that appears to be a link-buying scheme will result in a severe Google penalty. Disavow Any Bad Links You Already Have – what if you already have links that fall into the categories mentioned above? This is important because it would be easy for a competitor to spend a small amount of money to create loads of low quality links to your website in the hope of getting you penalised in Google. Luckily Google has thought of this and helps you deal with the issue through the disavow tool. This essentially allows you to go through each link, disavowing any that are from dubious sources. Disavowing means Google will ignore the link so you will get no benefit from it, but you will get no penalty either. With each of these link-building tips there is a common theme. Firstly, building links remains an important part of SEO, however it is something that must be done organically. It takes time and is an ongoing process, but it is the only way to successfully rank high for crucial keywords in your industry, and maintain that high ranking. Trying to game the system might have worked five or 10 years ago, but today SEO is about producing the best possible content and then telling people about it. If they like it they will link to it which will help you climb up Google’s ranking.